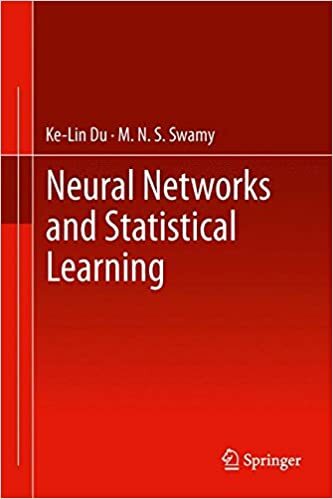 Providing a broad but in-depth introduction to neural network and machine learning in a statistical framework, this book provides a single, comprehensive resource for study and further research. All the major popular neural network models and statistical learning approaches are covered with examples and exercises in every chapter to develop a practical working understanding of the content. Each of the twenty-five chapters includes state-of-the-art descriptions and important research results on the respective topics. The broad coverage includes the multilayer perceptron, the Hopfield network, associative memory models, clustering models and algorithms, the radial basis function network, recurrent neural networks, principal component analysis, nonnegative matrix factorization, independent component analysis, discriminant analysis, support vector machines, kernel methods, reinforcement learning, probabilistic and Bayesian networks, data fusion and ensemble learning, fuzzy sets and logic, neurofuzzy models, hardware implementations, and some machine learning topics. Applications to biometric/bioinformatics and data mining are also included. Focusing on the prominent accomplishments and their practical aspects, academic and technical staff, graduate students and researchers will find that this provides a solid foundation and encompassing reference for the fields of neural networks, pattern recognition, signal processing, machine learning, computational intelligence, and data mining.